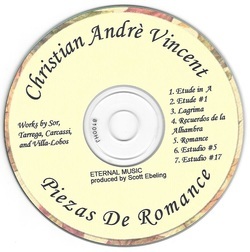 Piezas de Romance is Christian's first demo Album and includes classical guitar favorites featuring "Recuerdos de la Alhambra" and "Romance"
To order any products please click on the contact page and fill out the information, please be specific on your message as to what product(s) you are ordering and be sure to include your full address and contact info where you want the order sent. Preferred method of payment is paypal. 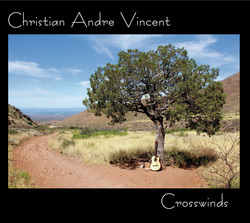 Once you have contacted me as to what product you'd like to order I will then send you the merchant email to send the funds. You should receive your product within 3-5 business days.